This is the definitive preparation guide for every software developer who wants to earn Oracle’s challenging Java SE 8 Oracle Certified Professional (OCP) certification. 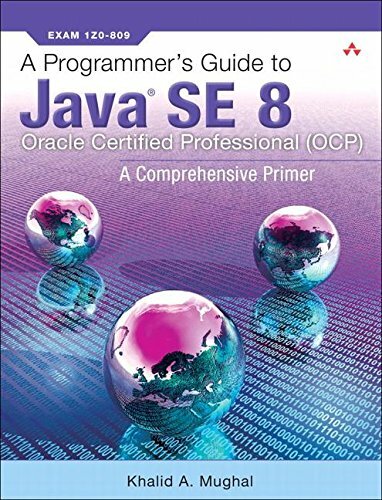 Derived from Khalid A. Mughal’s highly regarded guide to the original SCJP Certification, A Programmers Guide to Java SE 8 Oracle Certified Professional (OCP) brings together detailed coverage of all exam topics and objectives, exceptionally well-crafted code examples and exercises, realistic review questions, and a complete mock exam. Reflecting the increased rigor of the latest OCP exams, this guide strengthens its focus on analyzing code scenarios, not just individual language constructs. It fully reflects the latest Java SE 8 features, API classes, and best practices for effective programming. The only integrated guide to both Java programming and OCP certification, it goes far beyond the test, providing the deep understanding of modern Java development.